Bring a large pot of water to a boil; add broccoli and green beans. Simmer until vegetables are just tender, but still crunch, about 5 minutes. Drain. 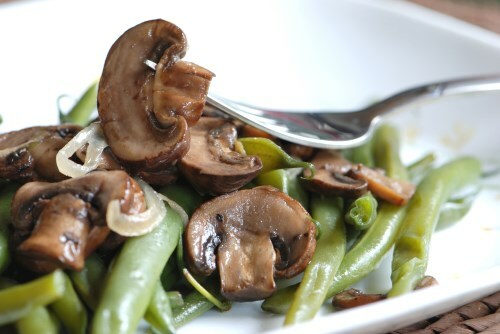 Melt butter in a large skillet over medium heat; cook and stir mushrooms until they begin to soften, about 1 minute. Continue to cook and stir until heated through, about 1 minute more. Stir broccoli and green beans into mushroom mixture; season with Cajun seasoning and toss with melted coconut oil. > Jonathan Bailor & Nell Stephenson: Fruits and Veggies Are Not the Same!